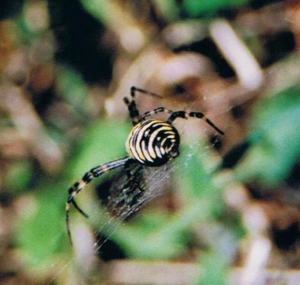 Observation - Wasp spiders - UK and Ireland. Description: Webs near ground-level in brambly vegetation. All females; one captured and wrapped a green grasshopper. Webs near ground-level in brambly vegetation. All females; one captured and wrapped a green grasshopper.